Customer-focused IT Expert Business Analyst, with 10+ years experience in the Banking field, expert in Branch Automation and Islamic Banking. I've contributed in many projects in different countries which helped me to understand the banking business in different regions. Acknowledged for capacity to tackle challenging issues, analyze viable alternatives, and provide innovative solutions that reside well within clients' financial and time frameworks. Persistence, personal integrity, and channeled energies are major strengths consistently cited by managers and clients alike-universally praising team spirit, independent work habits, and the determination to conquer technical challenges. A resourceful, life-long learner, embracing knowledge as a tool for improved problem-solving effectiveness. - Define the scope of the project. - Examine the client business and define what the system should do. - Defines the client technical, interfacing, and operational requirements and constrains from business aspects. - Helps in developing implementation plans. - Maintaining and adding lessons learnt to the implementation plans. - Advices the client on means to close requirements and application gaps. - Models the client existing and future business process. - Provides information and knowledge about the system under implementation. - Responsible for the customer training and knowledge transfer. - Participates in preparation of system testing plans and test cases. - Provides post implementation functional support. - Participate in presales activities including demos, workshops, conferences and proposals. - Participates in product evaluation. - Provides training for junior technical consultants. 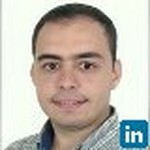 Join Today to follow and contact Sherif Abou Seda.